We, at Natural Passion, believe that education is the key to making a more informed decision. As a consumer, you have a right to know what ingredients are in your personal care products and how these ingredients affect you and your loved ones. Natural Passion strives to provide as much information as possible to aid you, our beloved! How can you tell when a product that claims to be natural, really is? You might try reading the label; however this may get a little confusing. Ingredients in skin care and beauty products are listed by the chemical names. An all-natural product should stand out from the rest because it should contain more easily recognizable ingredients. But if you want to be sure, you should carefully scrutinize the label and research any ingredients that you are unsure about. Here are a few in particular to avoid: CLICK HERE FOR THE COMPLETE LIST WITH MORE INFORMATION. A large number of personal care product manufacturers use Shea butter year round; because, it has gained notoriety. 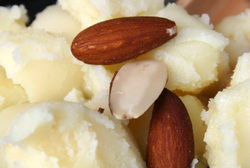 We've found that Shea butter is unkind to the skin in the summertime; it's heavy and waxy! As a result, we began using butters that naturally compliment the skin by way of the sun.We offer body butters (vegetable) according to the seasons. So, what's available now will probably not be available come wintertime. Wait...what's a butter? Vegetable butters are obtained by blending the nutritive natural fatty fractions of a vegetable oil. Depending on the butter, the fractions come directly from either the oil or hydrogenated oil or the unsaponifiable fraction. Some butters are naturally soft, while other are naturally hard. A "HARD" butter is perfect for the WINTER, and a "SOFT" butter is perfect for the SUMMER. The SPRING and FALL seasons call for another butter that's not too HARD, but not too SOFT. Kokum, Cocoa, and Cupuacu butters are considered "HARD" butters and must be mixed with carrier oils to create spread-ability. A "SOFT" butter doesn't need to be mixed with carrier oils, necessarily. Mowrah, Sweet Almond, Lemon, and Lavender are considered "SOFT" butters. Aloe and Mango have a medium consistency, which makes them excellent emollients for the Spring and Falls seasons. Some of the butters we offer are "hydrogenated," meaning hydrogen atoms are pumped into a vegetable oil causing the oil to become a "butter" consistency. While an hydrogenated butter is not 100% completely natural, the base ingredients are natural and the butter itself poses a very low health hazard when applied to the skin. CLICK HERE TO READ MORE ABOUT THE SAFETY OF HYDROGENATED VEGETABLE OILS IN SKIN CARE. We have worked with a variety of butters, including: Aloe Butter, Chamomile Butter, Lavender Butter, Mowrah Butter, Sweet Almond Butte,r Green Tea Butter, Lemon Butter, Sal Butter, Apricot Butter, Illipe Butter, Lime Butter, Shea Butter, Cocoa Butter, Kokum Butter, Mango Butter, Sunflower Butter, Jasmine Butter, Neroli Butter, Calendula Butter, Mandarin Butter, Rose Butter, Bitter Almond Butter, Neem Butter, & Meadowfoam Butter. CLICK HERE FOR MORE BUTTER PROFILES. Carrier oils are used to dilute essential and other oils prior to application. They carry the essential oil onto the skin. If applied to the skin undiluted, essential oils, absolutes, CO2s and other concentrated aromatics can cause severe irritation or reactions in some individuals. Natural lotions, creams, body oils, bath oils, lip balms and other moisturizing skin care products are made using vegetable (carrier) oils. Use carrier oils instead of mineral oil and lanolin instead of petroleum jelly. An essential oil is a liquid that is generally distilled (most frequently by steam or water) from the leaves, stems, flowers, bark, roots, or other elements of a plant. Essential oils, contrary to the use of the word "oil" are not really oily-feeling at all. Most essential oils are clear, but some oils such as patchouli, orange and lemongrass are amber or yellow in color. 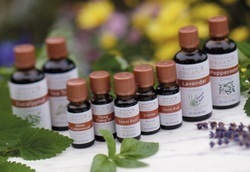 Essential oils contain the true essence of the plant it was derived from. Essential oils are highly concentrated and a little goes a long way. The chemical composition and aroma of essential oils can provide valuable psychological and physical therapeutic benefits. These benefits are usually achieved through methods including inhalation and application of the diluted oil to the skin. Essential oils are not the same as perfume or fragrance oils. Where essential oils are derived from the true plants, perfume oils are artificially created fragrances that contain synthetic imitations and do not offer the therapeutic benefits that essential oils offer. Natural Passion uses both essential and fragrance oils. We utilize premium grade fragrance oils that can be applied to the skin as a safe perfume oil and/or as a burning oil. They are 100% oil with NO Alcohol, Water, Surfactants or other cheap diluents. Ozonated Oil is made by bubbling highly concentrated ozone gas through pure organic vegetable/carrier oils; olive oil is the most popular. This process takes several days/weeks of continuous gas flow. The result is effective strength oil that has the distinctive odor of ozone. Topical use of this oil allows ozone to enter the tissue and heal cuts, wounds, burns, ulcers, lesions and infections. The healing properties of olive oil have long been applauded for use on the skin and face.....add to that the power of activated oxygen, and you have a remarkable skin care product. In massage, ozone penetrates the skin and oxidizes lactic acid and other toxins that may be present, alleviating soreness and pain. "Due to their antifungal, antiviral, and antibacterial qualities, ozonated oils have many healing properties that are totally natural and are a healing alternative to pharmaceutical medicine." NATURAL PASSION IS PROUD TO OFFER PRODUCTS MADE WITH OZONATED OLIVE OIL! Colloidal silver is reduced down to its most basic elements by passing a predetermined electrical current through pure silver and immersing it in pure distilled water where the minute particles become charged and suspended in their colloidal form, which enables them to pass through all human membranes. It is silver in this format that carries the incredible healing and regenerative properties associated with silver today. Colloidal silver carries an electrical charge which has been tracked to the stimulation of natural cell regrowth, and blood cleansing. Colloidal silver particles are invisible to the naked eye, but can be seen by projecting a focused beam of light through the liquid. The laser ray or light beam, invisible in clear air or pure water, will trace a visible path through a genuine colloidal suspension, like a headlight through fog. Known as the Tyndal effect, this can be used to verify that what you are buying is actually a colloidal liquid. There has been much hype generated by those opposed to the use of colloidal silver, regarding the skin color changes that have been seen to occur, usually in the folds of skin at the elbows and knees. They usually fail to mention that this bluing or greying of the skin happens only after many years of exposure to very large quantities of silver salts, not the pure metallic colloids. The experimental studies often cited, and other cases of Argyria, were the results of the ingestion of toxic silver compounds such as silver nitrate. It was also an occupational hazard for silver miners who regularly breathed silver ore dust over the course of their careers. The use of micro-doses of colloidal silver for therapeutic purposes does not fall into this category, as it is not toxic. Colloidal Silver is the mainstay of good health. Whether taken as a defense or preventative against germs, viruses, bacteria, allergens or pathogens, Colloidal Silver is the body's best and most tried and tested natural antibiotic alternative. It tracks down single celled invaders and eradicates them by a mode of suffocation, leaving no survivors to mutate to become immune to the treatment. It also accelerates the re‐growth and healing of damaged skin, soft tissue, bone and muscle, and assists in successfully boosting and magnifying the body's own immune system. Also excellent for burns, bites, skin rashes, eyes, nose & throat and accelerates all healing throughout the entire body. Colloidal Copper is an essential micro‐nutrient. It is needed for red blood cell formation, protein metabolism, the production of RNA, enzyme activity, hair and skin color, and the health of the nerves. Colloidal Copper boosts the body’s collagen supply which promotes smooth supple skin, is ideal for the treatment of skin wrinkles, and improves the elasticity of skin. NATURAL PASSION IS PROUD TO OFFER PRODUCTS MADE WITH COLLOIDAL SILVER AND COLLOIDAL COPPER! Silver stimulates the body’s natural immune system. Silver assists and speeds up healing. Silver tones up the body and the feeling of well‐being. Silver speeds up the healing of torn muscles and ligaments. Silver advances the healing of stubborn skin ulcers. Silver can keep water and foods free of bacteria. Silver promotes healthy and rapid plant growth. Silver promotes good health for dogs and pets. Silver is a good adjunct to fighting the results of pollution and allergens. Copper strengthens blood and its circulatory system. Copper improves elasticity of the skin. Copper helps regulate varicose veins. Copper attacks and is effective against parasites. Copper assists in the control/reversal of graying hair and helps retain original natural youthful color. Copper is a great skin and muscle toner. Copper reduces pain when applied topically in cases related to soft tissue and muscle damage. Hydrogen Peroxide is also known as H202. Simply put, hydrogen peroxide is water with extra oxygen. Hydrogen Peroxide provides a myriad of health uses and benefits internally and externally. We will focus on the external uses and benefits. 3.5% Pharmaceutical Grade: This is the grade sold at your local drugstore or supermarket. This product is not recommended for internal use. It contains an assortment of stabilizers which shouldn't be ingested. Various stabilizers include: acetanilide, phenol, sodium stanate and tertrasodium phosphate. 35% Food Grade: This is used in the production of foods like cheese, eggs, and whey-containing products. It is also sprayed on the foil lining of aseptic packages containing fruit juices and milk products. THIS IS THE ONLY GRADE RECOMMENDED FOR INTERNAL USE. The difference between "Food Grade" and the peroxide you buy in the store is it's 11 times stronger and doesn't have all those harsh chemicals, metals, and preservatives in it. NATURAL PASSION IS PROUD TO OFFER PRODUCTS WITH 3% H2O2 (MADE FROM 35% FOOD GRADE HYDROGEN PEROXIDE) AND 35% FOOD GRADE HYDROGEN PEROXIDE! To make your own 3% solution: mix one ounce (2 Tablespoons) of 35% food grade hydrogen peroxide to 11 ounces of distilled (preferably) or filtered water. Athlete’s Foot: Soak feet 10-20 minutes each night in 3% h202 until condition is in remission. Bath: One cup of 35% hydrogen peroxide to a full bathtub for a detoxifying bath. Note: try not to use this after 6-7pm as the increased absorbed oxygen may keep you awake. Douche: Add five to six tablespoons 3% H202 to one quart of distilled of filtered water. Enema: Mix up to six tablespoons (maximum) 3% H202 to one quart of distilled water. Foot relaxer: Add one cup of 3% H202 to one gallon of hot water and soak one half hour. Facial: For rejuvenation and freshening after washing, saturate a cotton wad with 3% H202 and gently rub on face and neck. Mouthwash: On arising rinse mouth with water then gargle and wash mouth with 3% H202, swishing for one half to one minute. (Note: a dash of chlorophyll adds flavor and effectiveness.) Helps prevent colds. Nasal Spray: One tablespoon of 3% H202 added to one cup of pure water. Spray into nasal passages to relieve congestion. Toothpaste: Make a paste of baking soda and H202 and store in tightly sealed container, or dip brush in 3% H202 and brush teeth. Denture Soak: Use 3% in denture container and soak 30 to 60 minutes or overnight. Deodorant: (Body) Saturate cotton wad with 3% H202 and rub on under arms. Pets: Add one ounce 3% to one quart drinking water. Deodorizer when pet is sprayed by a skunk: Mix ¼ cup baking soda, 1 quart 3% hydrogen peroxide and 1 teaspoon of Ivory soap. Use this solution to wash your pet, being careful to keep it out of your pet’s eyes. Rinse with clean water. Vaporizer: One ounce of 35% H202 per gallon of water in a vaporizer improves night time breathing and helps clear sinus and bronchial congestion. Vegetable Soak: (in place of Clorox.) Add ¼ cup of 3% H202 to a gallon of cold water. Soak light leafy vegetables 15-20 minutes. Soak thick skinned fruits and vegetables for 30 minutes (apples, cucumbers, tomatoes & etc.) If time is a problem, you can spray the vegetables with straight 3% let stand a couple of minutes, rinse and dry. Leftover Tossed Salad: Put 1 Tbsp. 3% in ½ cup of water and spray the top of the salad with the solution before covering and refrigerating. Marinade: In glass, stainless steel or ceramic casserole (never aluminum), place meat, poultry or fish and cover with 3% H202. Cover loosely and store in refrigerator one half to one hour. Rinse well then cook. Kitchen Cleaner, Freshener, Disinfectant: Keep a spray bottle of 3% (straight) in the kitchen; use it to wipe off counter tops and appliances. It disinfects and gives the kitchen a fresh smell. Works great inside the refrigerator and on Formica tops. Dishwasher: Add two to three ounces of 3% H202 to regular wash for dishes. Add the same for washing dishes in sink. Laundry: Instead of bleach, add six ounces of 3% of H202 to small load of laundry: eight ounces to large load. Insect Spray: In one gallon water stir 8 ounces (one cup) refined white sugar and 5 to 8 ounces of 3% H202. House & Garden plants (for growth): To one quart add one ounce 3% H202 or 16 drops of 35% H202. Mist and or water plants frequently. Crop Spray: Many farmers are increasing crop yields by spraying with a dilute H202 water mixture. For each acre add 5 – 16 ounces of 35% Hydrogen Peroxide to 20 gallons of water. Fungus/Mildew control for roses & vegetables: Mix 5 tablespoons baking soda, 5 tablespoons 3% hydrogen peroxide in one gallon of water and apply. Seed Sprouting: Please seed in container and add 2 cups of water and 12 tablespoons 3% hydrogen peroxide. Allow to soak overnight. Drain and repeat daily until seeds sprout. Hot Tubs: Start up with using 8 ounces (one cup) 35% per 500 gallons of water. Should be maintained with 2-4 ounces of 35% weekly, depending on use and direct sunshine on water. Use in place of chlorine. 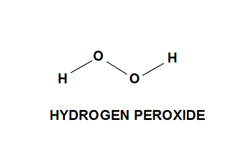 CLICK HERE TO READY MORE ABOUT THE INTERNAL AND EXTERNAL BENEFITS OF HYDROGEN PEROXIDE. Natural Passion strives to assist in the healing of the whole person; however, we are not licensed physicians. These statements have neither been evaluated nor reflect the views and/or policies of the Food and Drug Administration (FDA) or its staff. These services and/or products are not intended to diagnose, treat, cure or prevent any disease. The information contained within is not intended to replace advice from a qualified health professional and is not intended as medical advice. Please consult with your medical practitioner or doctor before receiving services or consuming products. All services and/or products must be consumed at the user’s discretion.